Pure white hyacinth, 25 cm tall. Early spring flowering, very fragrant. 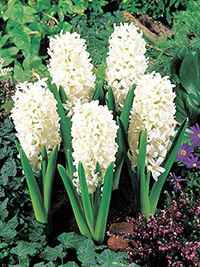 We regret we have had to withdraw Hyacinth Carnegie from sale due to a low crop.